Product prices and availability are accurate as of 2019-04-22 18:13:06 MDT and are subject to change. Any price and availability information displayed on http://www.amazon.com/ at the time of purchase will apply to the purchase of this product. 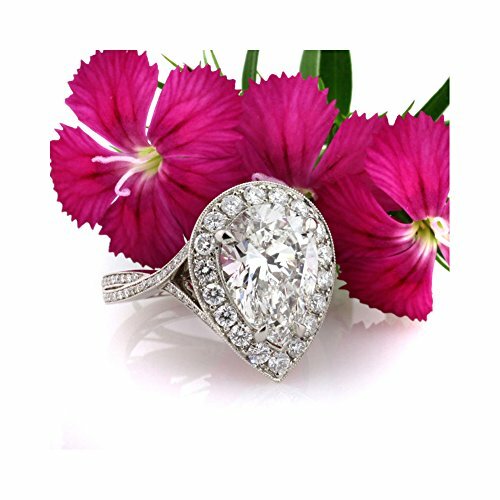 This one of a kind, mesmerizing pear shaped diamond ring will astonish you with its size, quality, brilliance and design! The remarkably beautiful 4.06ct pear shaped diamond set in the center of this custom-made masterpiece is AGS certified, one of the leaders in diamond grading, at H-VVS2, white and practically flawless! The cut is one of the most beautiful you will ever see! It sparkles tremendously. 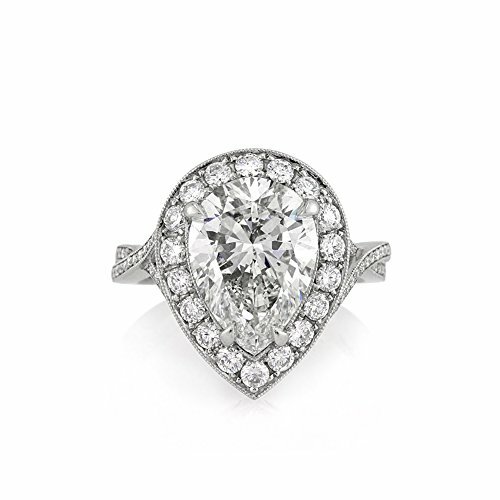 It is accented by a halo of round brilliant cut diamonds in a pave setting. 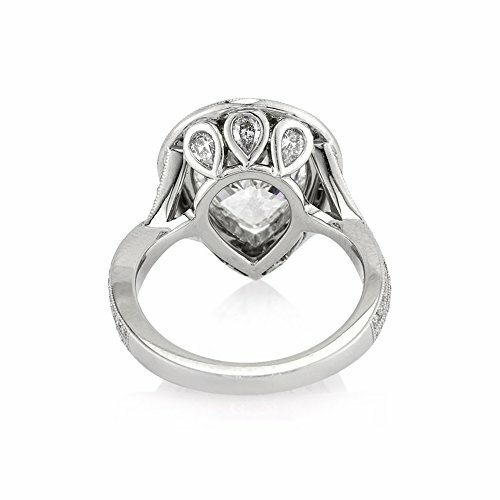 The unique shank features two rows of round diamonds in a pave setting that crisscross on the sides. The craftsmanship is extraordinary! The center basket features three beautiful pear shaped diamonds that are bezel set on the rounded part and gorgeous handmade filigree accents with round diamonds towards the tips. This work of art is breathtaking! Sure to become a family heirloom that will be cherished forever! Designed and handcrafted in Los Angeles, CA 100% Natural Diamonds Never enhanced or treated Conflict Free Diamonds Contact us for customizations!